Early October in Maryland. Last updated: 10/4/2009. 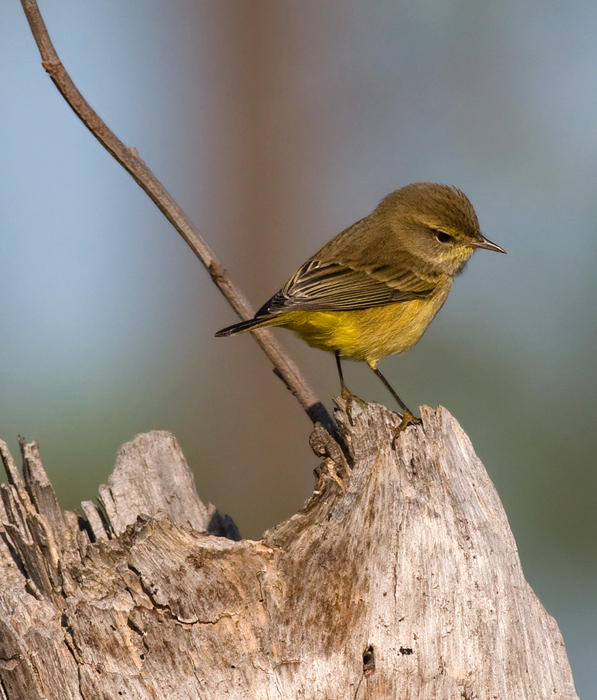 Above and below: Palm Warblers at Eastern Neck NWR, Maryland (10/1/2009). 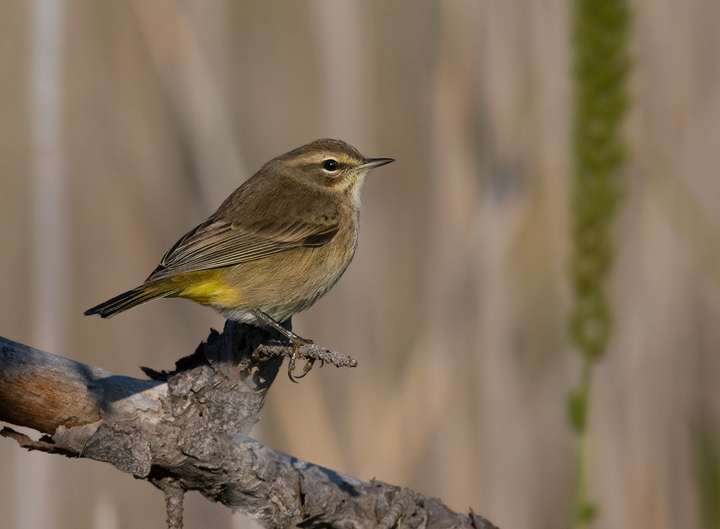 A Western Palm poses above, showing the contrast between buffy breast and yellow undertail. 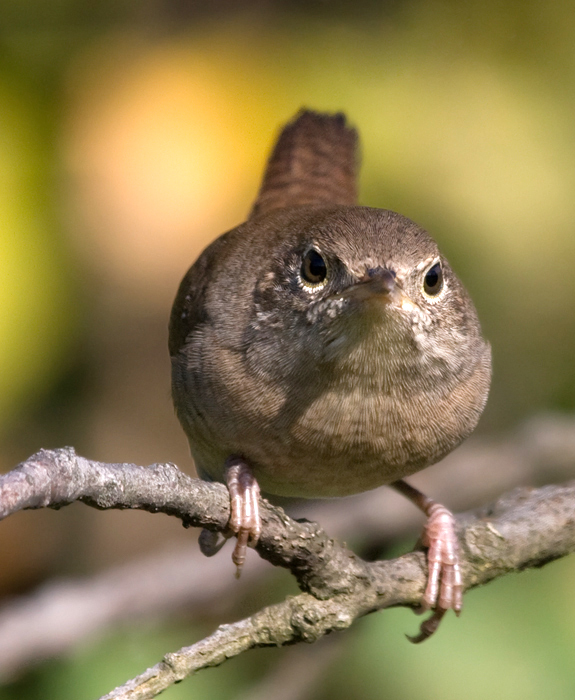 Below, a Yellow Palm does an impressive impersonation of a Winter Wren. 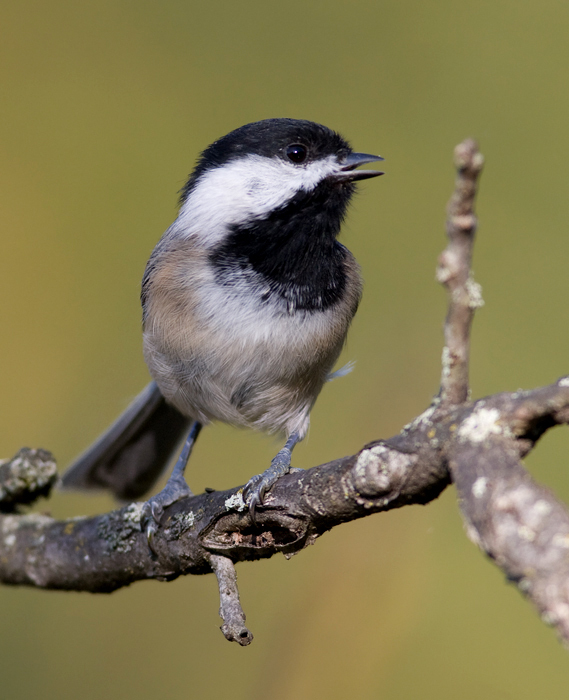 Below: A Black-capped Chickadee leads the protest against visiting birders in Washington Co., Maryland (10/3/2009). 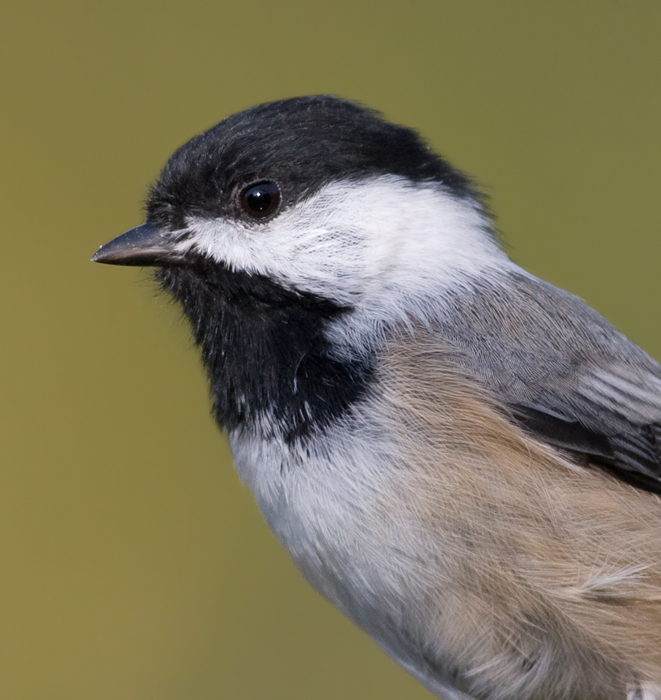 This individual was photographed on Sideling Hill, barely into the Black-capped side of the hybridization zone with Carolina Chickadee. 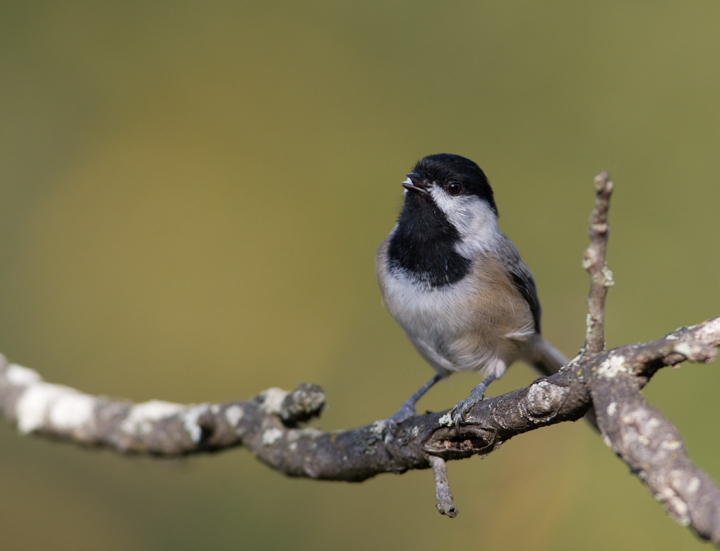 Although it looks like a pure Black-capped, this bird lives way to close to Woodmont Road to not have a couple Carolina genes. 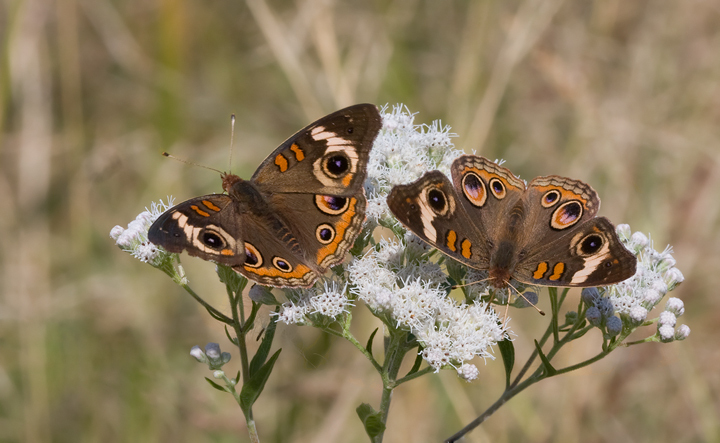 Below: Common Buckeyes pose at Eastern Neck NWR, Kent Co., Maryland (10/1/2009). 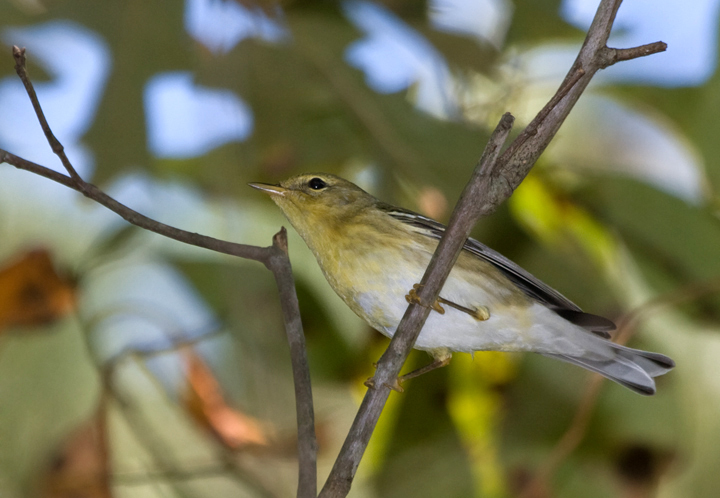 Below: A Blackpoll Warbler demonstrates its decidedly un-Bay-breasted features - lightly streaked breast, white undertail coverts, and yellow feet and legs. I also found it, which virtually eliminates the possibility that it would be a Bay-breasted! 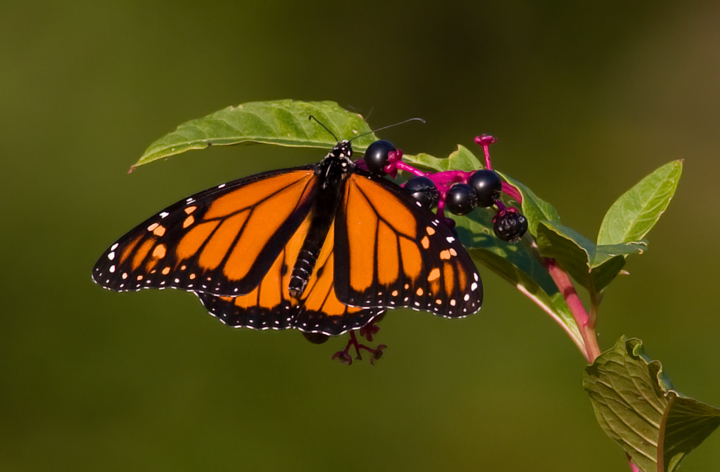 Photographed in Caroline Co., Maryland (10/2/2009). 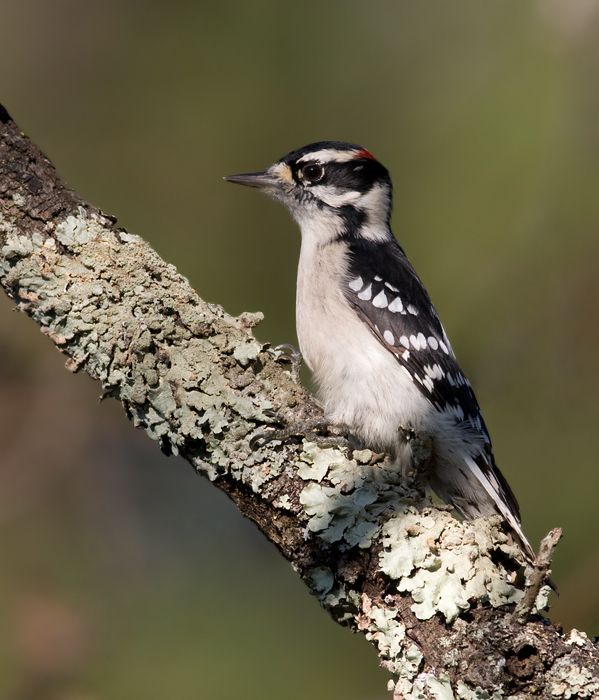 Below: A male Downy Woodpecker on Sideling Hill, Washington Co., Maryland (10/3/2009). The second photo emphasizes the distinctive nasal bristles that keep debris out of its naval passage while foraging. 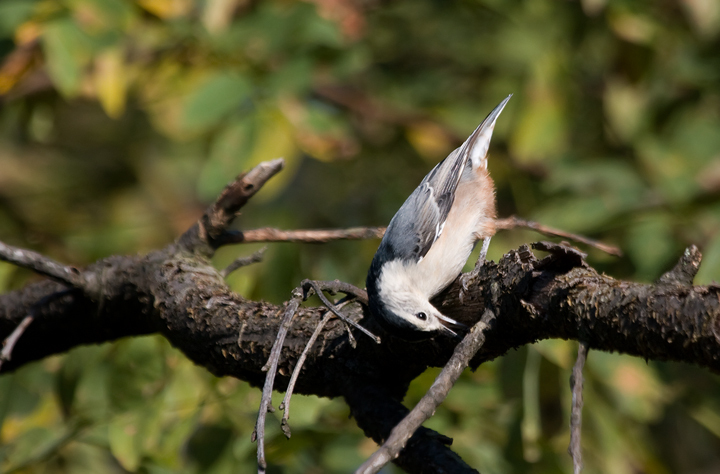 Below: A White-breasted Nuthatch forages at Blairs Valley, Washington Co., Maryland (10/3/2009). 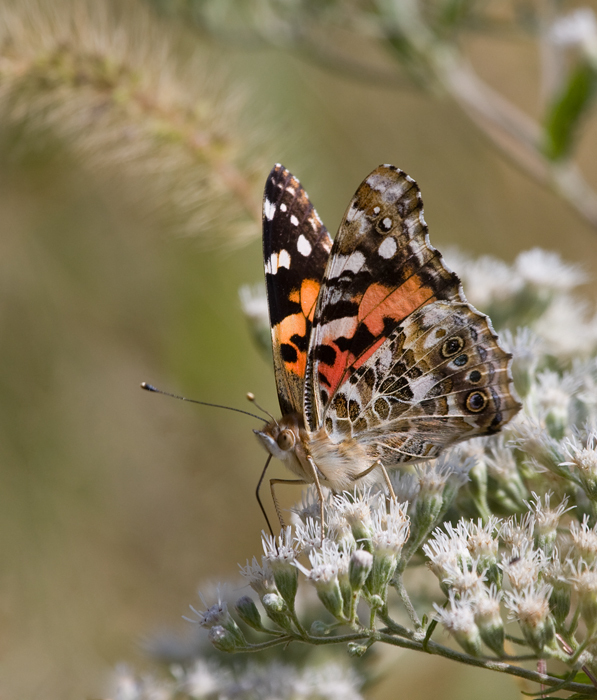 Below: A beautiful Painted Lady at Eastern Neck NWR, Kent Co., Maryland (10/1/2009). 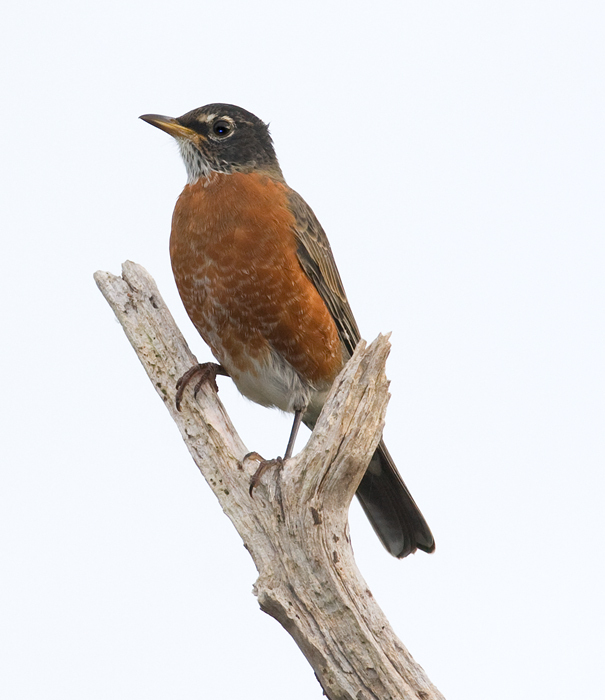 Below: An American Robin poses on Assateague Island, Maryland (10/2/2009). 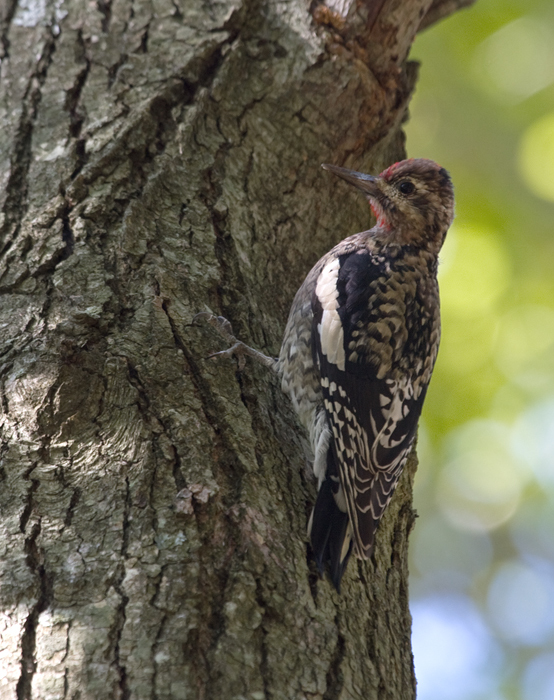 Below: A male Yellow-bellied Sapsucker forages at Eastern Neck NWR, Kent Co., Maryland (10/1/2009). 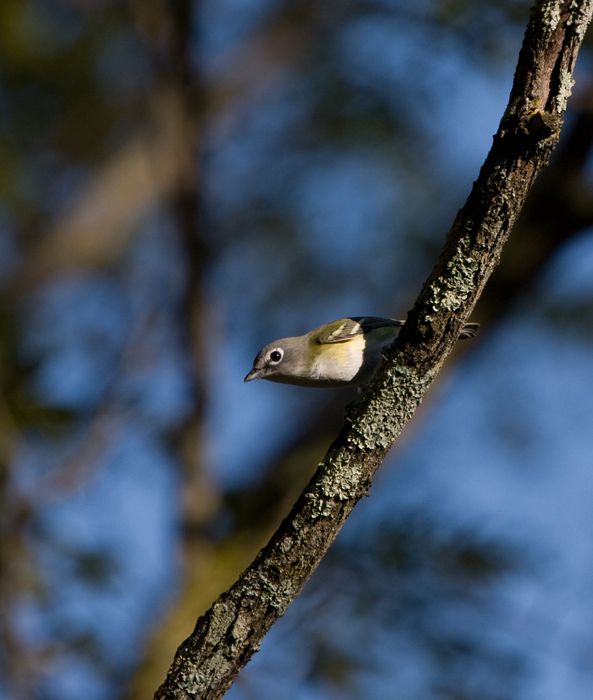 Below: A migrant Blue-headed Vireo at Blairs Valley, Washington Co., Maryland (10/3/2009). 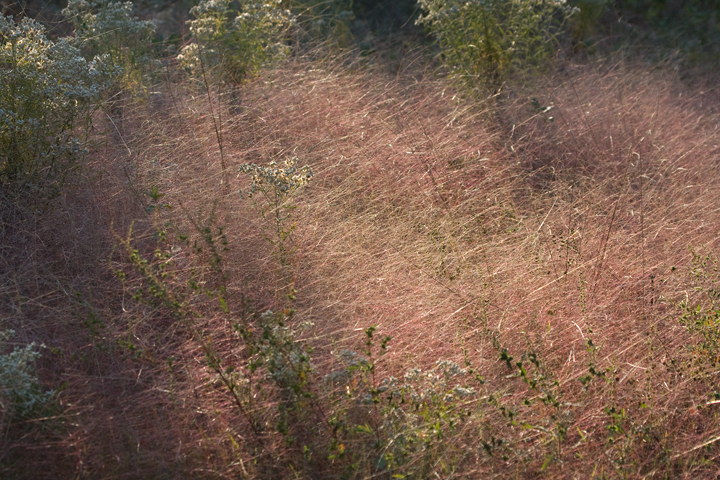 Below: Attractive grass at Idyllwild, Caroline Co., Maryland (10/2/2009). 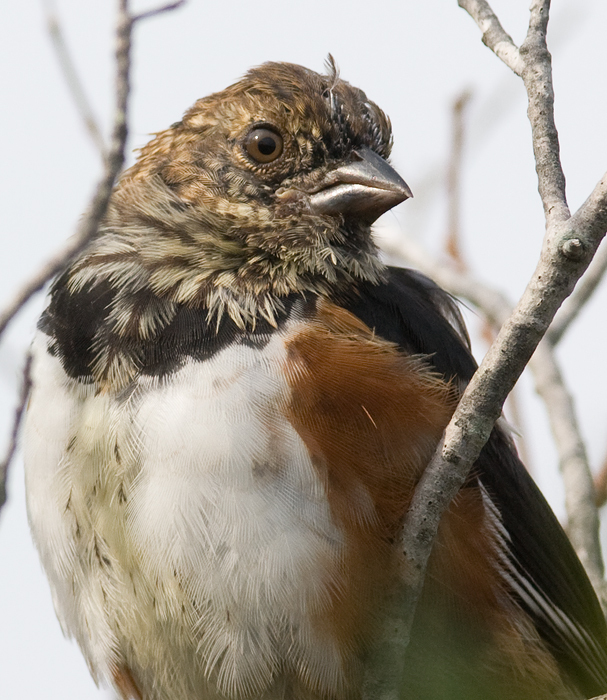 Below: A molting Eastern Towhee on Assateague Island, Maryland (10/2/2009). I believe this is a hatch-year male completing its first prebasic molt. 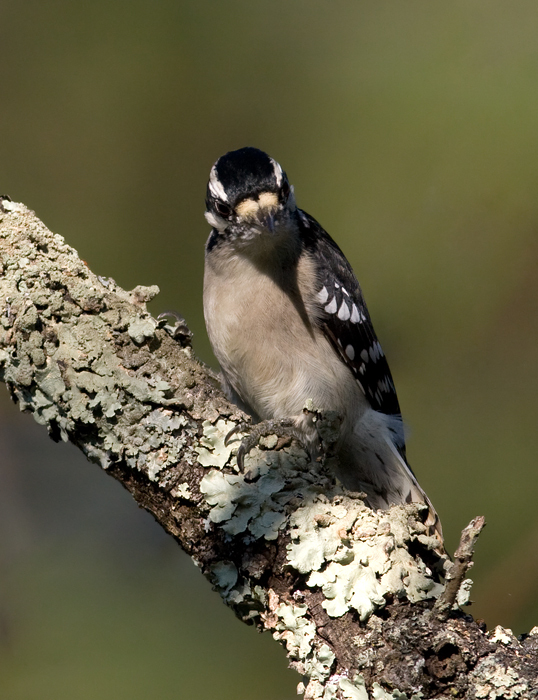 Note the head pattern, new black feathers on the neck, and the soft corners of the gape indicative of a hatch-year bird. 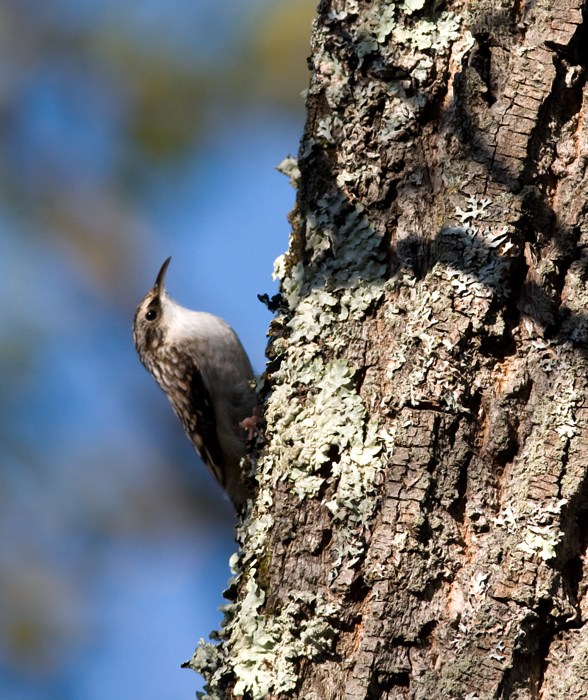 Below: A Brown Creeper on Sideling Hill, Washington Co., Maryland (10/3/2009). 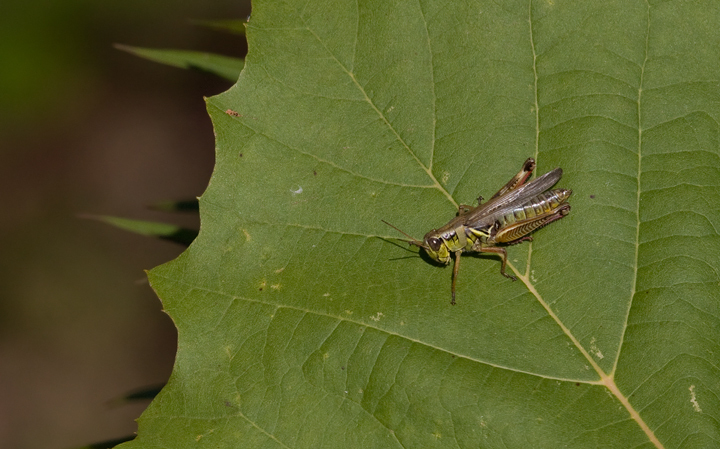 Below: A Differential Grasshopper on a sycamore leaf in Anne Arundel Co., Maryland (10/4/2009). 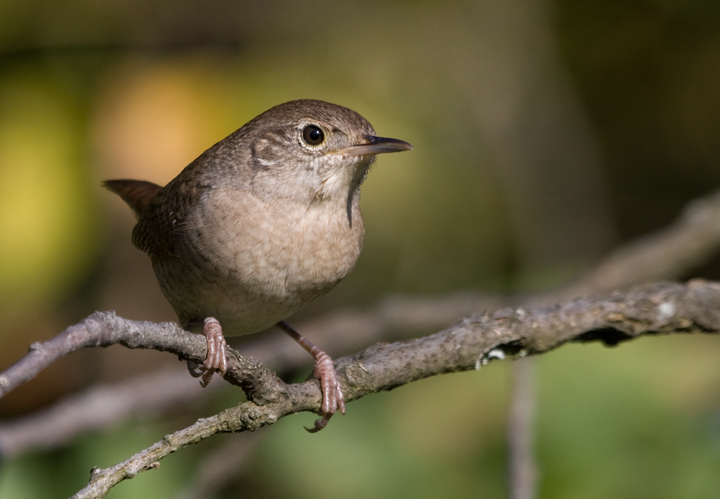 Thanks to Jim Brighton for the ID. 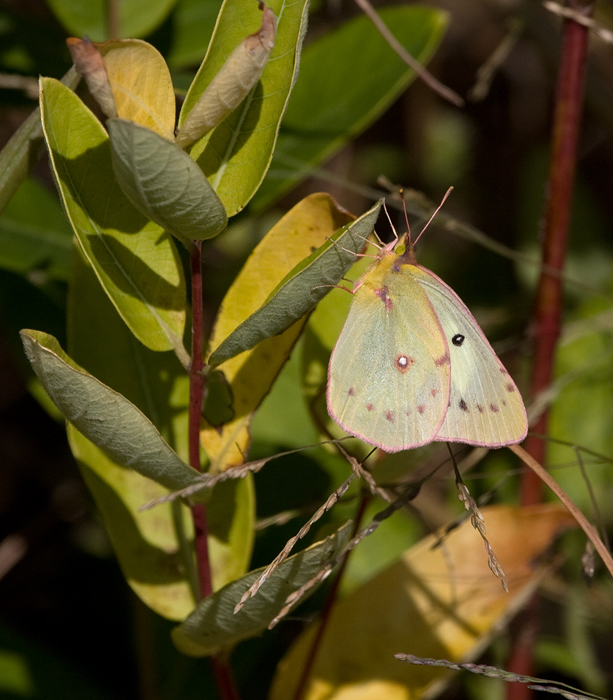 Below: A white-form female Orange Sulfur at Eastern Neck NWR, Kent Co., Maryland (10/1/2009). 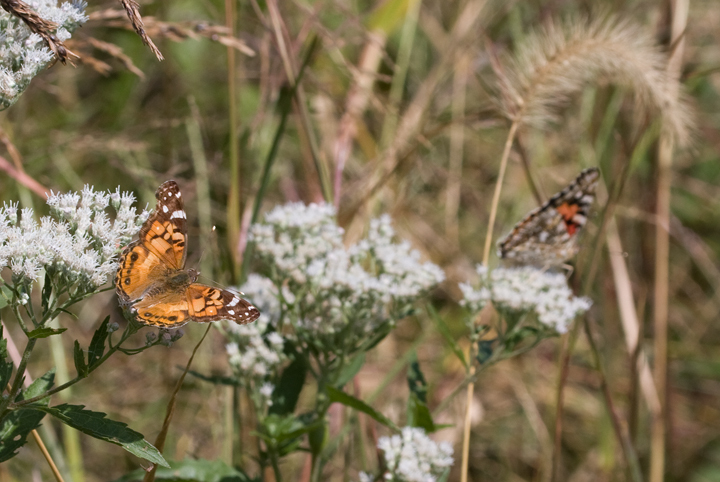 While its difficult to separate this form in Clouded/Orange, the pattern points decidely to Orange. Also, the many dozens of typical sulfurs were all Orange at this location and date. 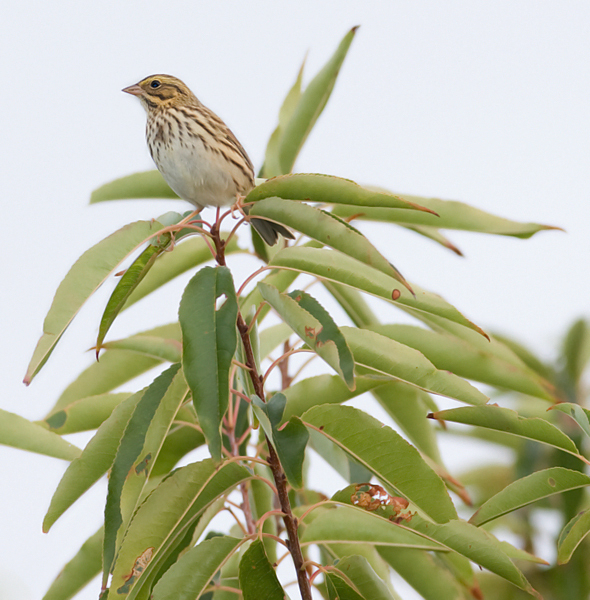 Below: A migrant Savannah Sparrow perches in a treetop on Assateague Island, Maryland (10/2/2009). 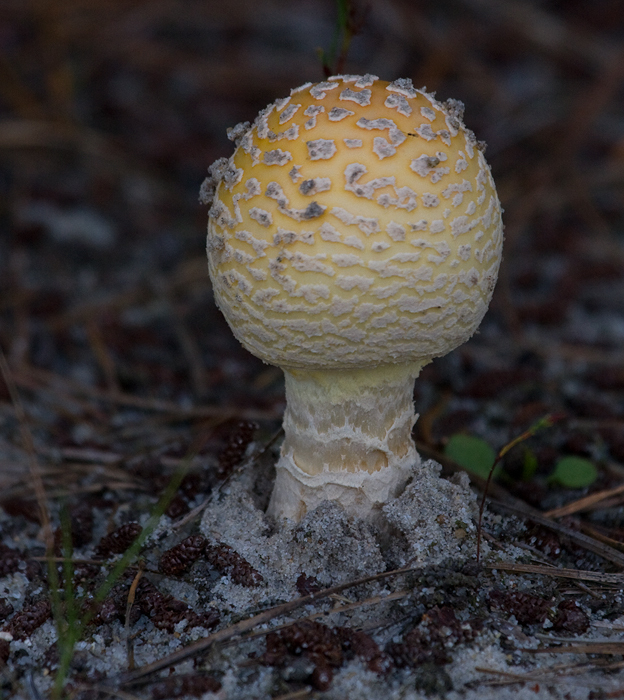 Below: A Fly Amanita (Amanita muscaria var. formosa) at Idyllwild, Caroline Co., Maryland (10/2/2009). It is poisonous, but has been used by some cultures as a hallucinogen. Thanks to Paul Noell for sharing his mycological expertise. 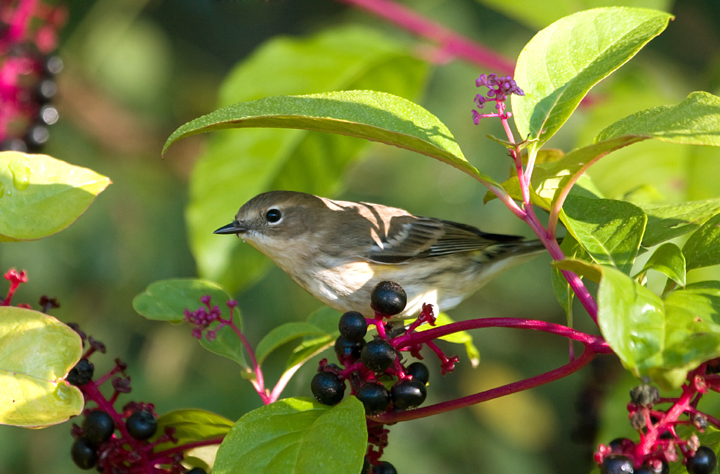 Below: A migrant Myrtle Warbler in the pokeweed at Blairs Valley, Washington Co., Maryland (10/3/2009). 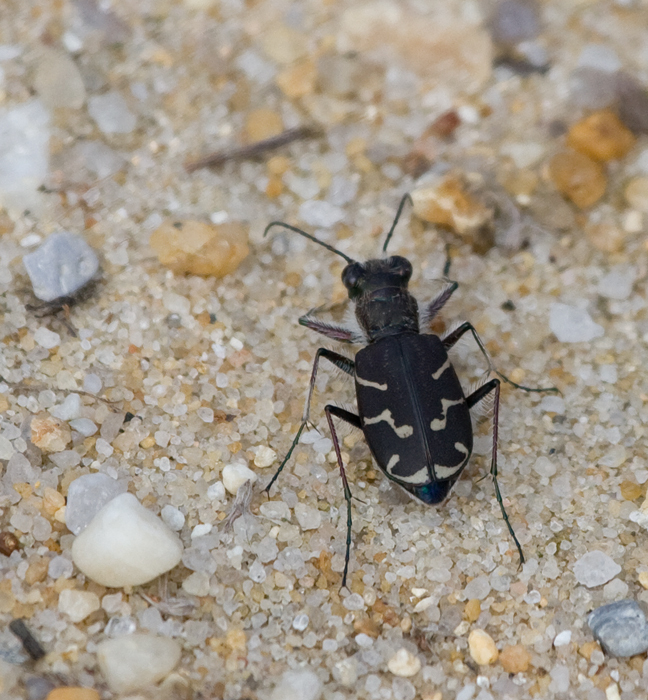 Below: A presumed Oblique-lined Tiger Beetle in Idyllwild, Caroline Co., Maryland (10/2/2009). 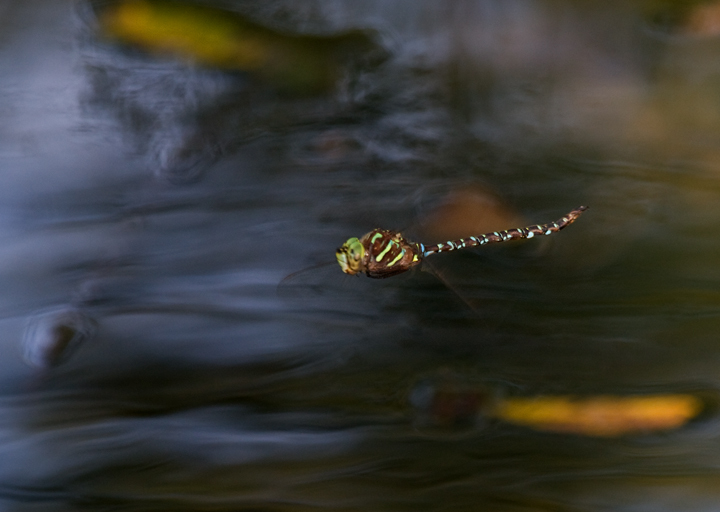 Below: A Shadow Darner at Cromwell Valley Park, Maryland (9/23/2009). 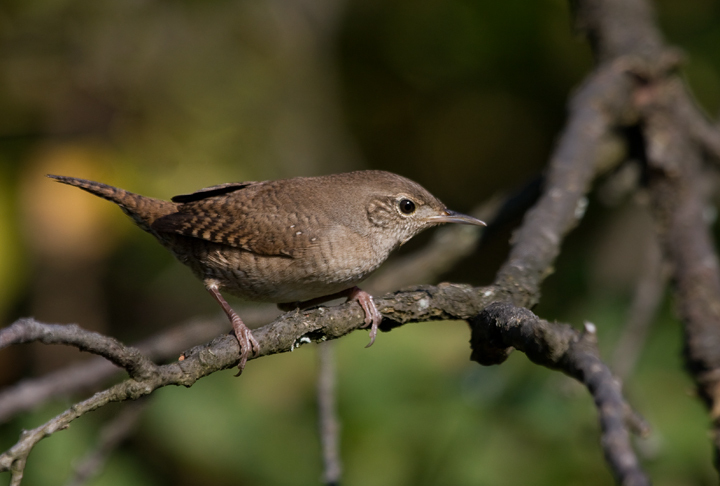 Below: A House Wren investigates intruders at Blairs Valley, Washington Co., Maryland (10/3/2009).